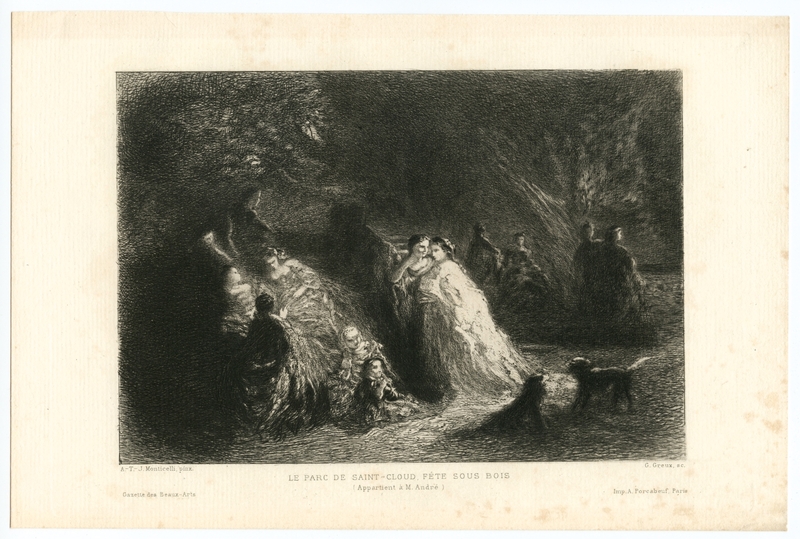 Adolphe Monticelli etching "Le Parc de Saint-Cloud"
Medium: etching (etched by Gustave Greux after Adolphe Monticelli). This impression on laid paper was printed in 1903 and published in Paris by the Gazette des Beaux-Arts. 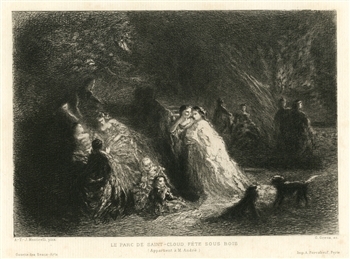 The image measures 5 1/2 x 7 7/8 inches (140 x 200 mm). Not signed.